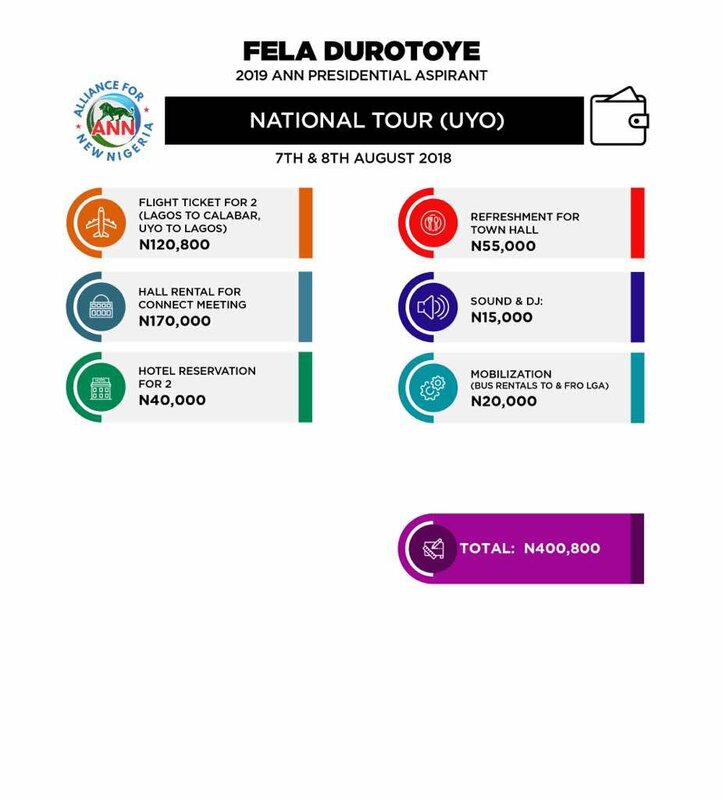 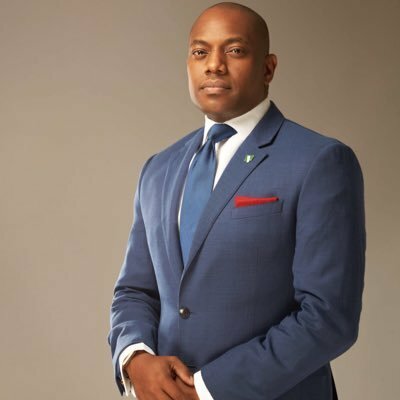 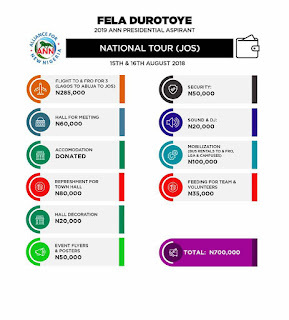 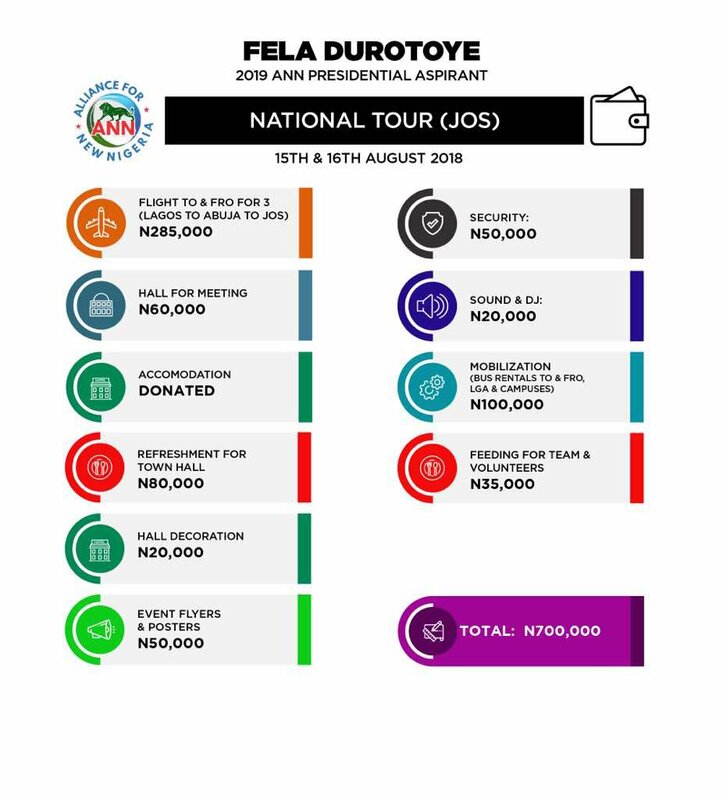 Fela Durotoye, the Presidential Aspirant for the Alliance for the New Nigeria has taken to his twitter handle to share pictures of his campaign expenses to his supporters. 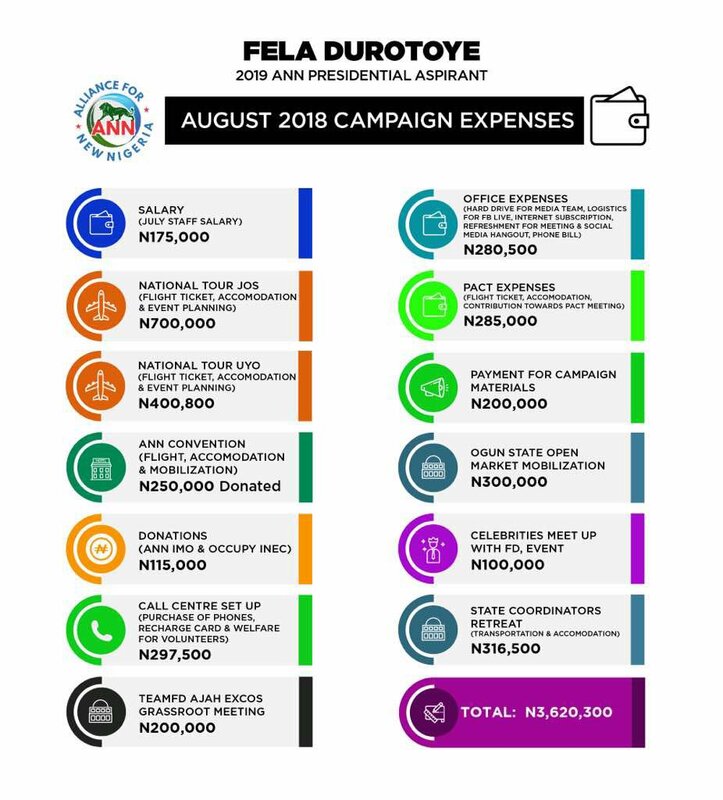 As you know, we have been prudent and transparent with donations entrusted into our care and we’ll continue to do the same . 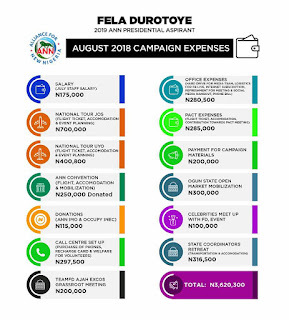 Thank you for your support and I understand and appreciate your sacrifice and I promise that, TOGETHER, we will build a New Nigeria 🇳🇬 that we will all be proud of.